There’s nothing more frustrating than saying something clever, being completely ignored, and then years later someone else says exactly the same thing. That’s always happening to me. A case in point was the above article on the BBC website last week. 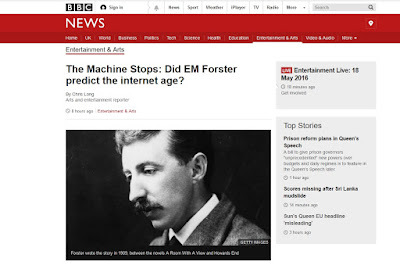 It’s about how E. M. Forster’s short story “The Machine Stops” from 1909 seems to foreshadow the world of social media, with its depiction of a dystopian future where people interact with each other via technology rather than face-to-face. But I made exactly the same point as long ago as 24 January 2011, in what was only the third post on this blog. The post was called Wikipedia Prophecy, and in the last five years and four months it has amassed a grand total of 48 page views. 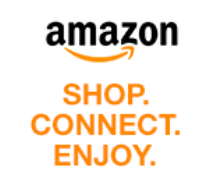 In it, I said that Forster’s story “can be read today as an amusing satire on the World Wide Web, and on social networking sites such as Facebook in particular” – which is essentially what the BBC article says. However, as the title of my post indicates, I made another connection they missed – with Wikipedia’s strict (and to my mind frighteningly fascist) policy of “No Original Research”, which is also a central tenet of the future world envisaged by Forster. A later post I wrote on a similar subject was The End of Books, about Octave Uzanne’s short story of that title from 1895. That post has fared better, with a total of 647 page views (above average for this blog). However, I can’t resist repeating this illustration by Albert Robida, which shows a group of earphone-wearing commuters on a metro train. When you realize that Queen Victoria was still on the throne when the picture was drawn, it really is astonishingly prophetic. Most future predictions have been hopeless (flying cars, humanoid robots, colonies on Mars etc) but now and again some predictions are broadly on the right track. Remember those "telephones' that would appear in sci-fi films like 2001: A Space Odyssey where you could actually see the person you were speaking to - it all seemed rather fanciful but now we have it as Skype. I wonder what a sci-fi novelist considers more difficult - predicting 50 years ahead or 500 years ahead ? By the way, "The Machine Stops" was dramatized on Radio 4 Extra just a few months ago - I'd never heard of it before. Thanks Colin. I agree that 2001 is an interesting film from the prediction point of view. It's particularly interesting to me because I'm old enough to have seen it for the first time in 1969, a year after its first release, and then lived through the "real world" 2001 more than 30 years later ... and it's now another 15 years on from that. It's fascinating to see what they got right and what they got wrong. The film is pretty strong in its depiction of communications and visual display technology (as well as the picture-phone you mention, there are the digital navigation displays in the spacecraft and the "newspad" - which closely resemble an iPad both visually and in name). On the other hand, the portrayal of "airline" style flights to Earth orbit, a well-established base on the Moon and a manned flight to Jupiter taking just 18 months are still well beyond anything we have today. A nice thought, Kid, but not very likely. Actually it's not a difficult connection to make for anyone who reads the story today - I doubt very much that I was the first!